The Lawrence Hall of Science at UC Berkeley offers some good resources for students and teachers. On iPadApps4School.com I recently reviewed DIY Lake Science produced by the Lawrence Hall of Science. The free iPad app is designed to help students learn about lake ecosystems. 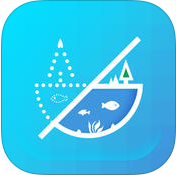 In the app students will find a small simulation of a lake ecosystem. Students can change the depth of the lake, the temperature, and the general climate around the lake to learn how those changes alter the ecosystem. After using the simulation students can learn more about lake ecosystems in the DIY Lake Science video library. If your students don't have iPads to use in your classroom, take a look at 24/7 Science. 24/7 Science is a website produced by The Lawrence Hall of Science for the purpose of sharing science games and hands-on activities for elementary school students. 24/7 Science has two basic sections, a game section and an activities section. The games section offers twenty-five online games for students to play independently. The hands-on activities section offers thirteen hands-on science learning activities that students can do with the supervision of their teachers or parents to learn about plants, animals, and Earth science. Monster Heart Medic is another iPad app from the Lawrence Hall of Science. Monster Medic takes students on a virtual journey through the cardiovascular system. Sabba Quidwai recently wrote a nice review of Monster Medic here.